Vintage New Media, Inc. is a custom software development company specializing in building and hosting turnkey websites that produce high quality buyer leads for real estate agents and brokers at an affordable fee. We offer two design styles: our Condo Mania design for agents and teams that specialize in the condo, loft and town homes, and the Browse Homes design for agents and brokers that specialize in single family homes. Also, since our websites generate plenty of leads, we’ve built Agent Lead Tracking, a web based contact management, lead tracking, and transaction management system perfect for teams and brokers who handle high volumes of internet leads. We want to make our clients wildly successful. As such, we only work with one client, exclusively, for each major market. This allows us to focus on you and your market, doing everything we can to make our websites a huge success! Contact us if you’d like to learn more about our services, and hopefully your market is still available! For real estate agents who specialize in the Condo, Loft and Townhomes, we offer a website design and hosting package under the Condo Mania design brand. Based on a City, Region, and Area hierarchy, the Condo Mania design allows users to easily browse condo listings by community, price range and other features. 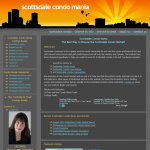 Perfect for the single agent or small team, the Condo Mania design positions you as the niche expert. 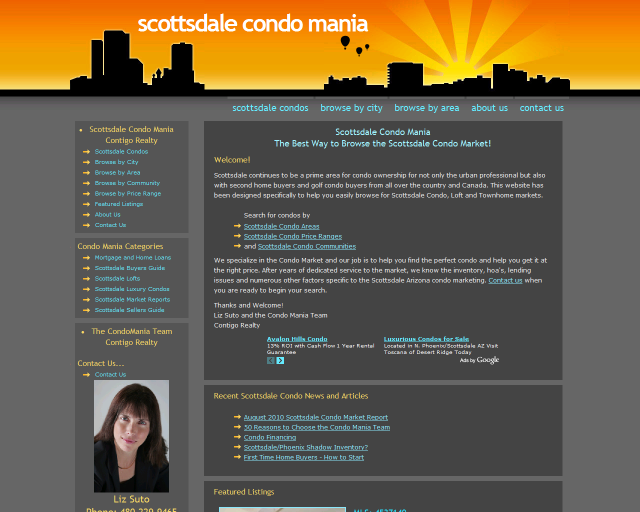 Condo Mania websites have proven to do well in markets with second home buyers and the seasonal winter visitor. 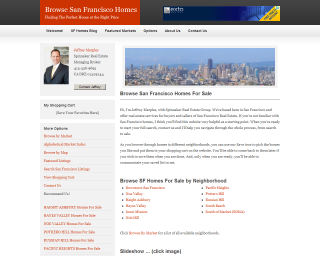 For real estate agents who specialize in Single Family Residences, we offer a website design and hosting package under our Browse Homes design brand. We’ve added a flexible market hierarchy, maps, slide shows, and much more allowing us to personalize and tailor the website in a number of new ways. This design is suitable for larger teams and complex market hierarchies. Different agents can be featured as market area experts based on market assignments. 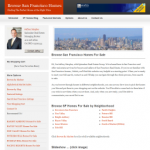 Ideal for a brokerage covering a wide territory with a large number of agents.